simple extract the sandstorm files into you COD directory. After, under a sandstorm folder in you COD directory, you will find a Call of Duty and a game of the year folder containing 3 'launch link' copy them on you desktop (regarding the original version of COD you have) and open them choosing properties to modified the path to the folder you have extract them (hope it's clear)...and after just click on the link. 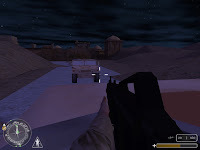 Level 1 on a small trip through the mountain to help civilians your convoi is under enemy attack, objective is to stop them, make the village safe, eliminate reinforcement and also kill all enemies. Then you will go to the end roof in order to establish a communication with the headquarter. 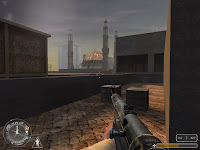 Level 2 takes place in a city under siege from insurgents. The insurgents are using a palace as a base from which to launch attacks against American troops. Behind the palace, in the congested residential district, the insurgents are manufacturing explosives for use in car bomb attacks, and they are also holding an American soldier hostage. 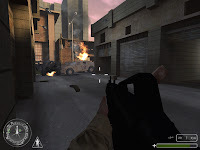 The player must work alone and together with her squad mates to clear out the palace, neutralize the bomb equipment, and rescue the hostage. 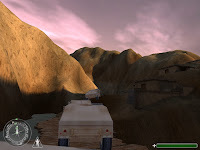 Level 3 starts in a town where the player and their squad has to locate a captured friendly and recover them. After that they have to meet up with their convoy and proceed to reinforce a division who is under heavy fire at an airport down the road. 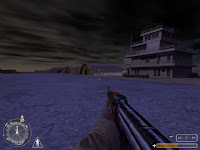 Upon arriving at the airport the player has to hold the airport until an air strike can help clear the area. 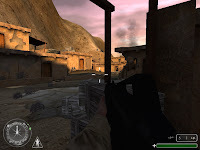 This one has a new totally fresh approach of modern warfare, people who are studying to become professional actors from the software industry have merge together to create an interesting experience in arround 4 month, the experience is quite short in playtime experience but in my opinion create something quite original that fits particularly well with nowedays information that come from country from the middle east. Gameplay is not what this work was intended for so it's honest well balance but perhaps not enough challenging in combat and too obvious in puzzles (but you could be lost here and there) so the experience will be quite short regarding the download size.